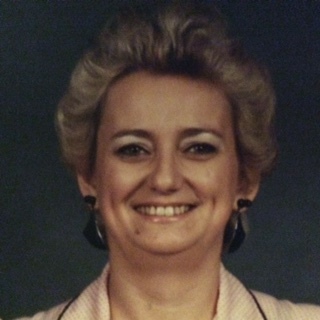 Joyce E. Jones, 71, of Washington, passed away Thursday, May 31, 2018 at the Heartford House in Owensboro, Kentucky. She was born May 10, 1947 in Loogootee, Indiana to the late Charles and Margaret (Lents) Wathen. Joyce loved flowers and yard work. She was looking forward to planting a garden this year.She was an avid bowler on many bowling leagues until her health would no longer allow her to play. She is preceded in death by her husband, David E. Jones, who passed away March 17, 2018 and her parents, Charles and Margaret Wathen. Joyce is survived by her sons, Charles (Beth Ann) Hembree of Shoals, Kevin (Stephen) Hembree-Brown of Hawesville, KY, and Thomas (Karen) Bevers of Washington; her daughters, Amy (Lee) Cole of Elwood, Connie Carlson and Amanda Tornabeni, both of Loogootee; her grandsons, Trey Brown, Austin Hembree and Dillion Hembree; eleven more grandchildren and five great grandchildren; her siblings, Mark Wathen of Loogootee and Charlotte Kellam of Lakeland, FL, and her longtime friend, Linda Emmons of Washington. Joyce’s wishes were to be cremated and private family services will be held at a later date.